Our own Dan Helliesat down for a chat with Bryce Harper during a recent break in spring training. Near the end of the interview, Hellie got the answers to some of the questions we’ve been dying to ask the Nats' young phenom. The whole interview is worth the five minutes, but if you don’t have the time we’ve pulled out the highlights. Some of the answers might surprise you, and most will remind that he’s only 18 years old. 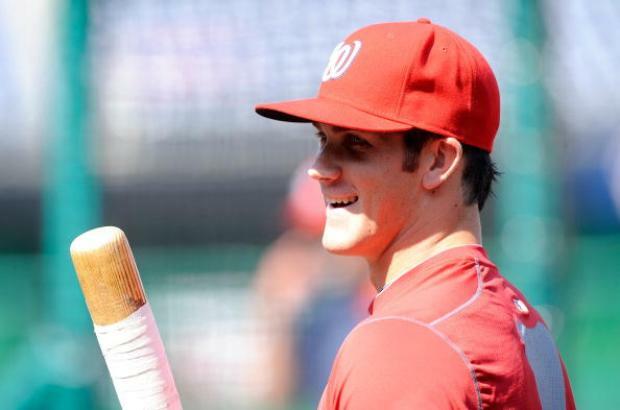 Washington Nationals prospect Bryce Harper knows he has a lot of work to do before he makes the Majors. If you weren’t a baseball player, what would you be doing? Here or back in Nevada? Are you still allowed to do that? Stranded on a desert island, you have one choice, who would it be? I’m single? Probably the girl from Tokyo Drift.